Beautifully finished metal surfaces reflect our customer's pride in their place of business. All Metal Specialties has the capability to fulfill their project expectations, Our quality is number one at every stop of the process. With custom job specifications required on most projects, All Metal is the solution. Versatility in engineering fabrication and finishing set us apart in the industry. 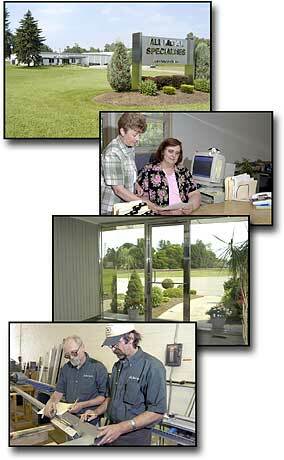 Our employees have many years of experience and are true experts in their field. Driving directions to All Metal Specialties Inc.